Written for violin, accordion, and string orchestra, Uljas Pulkkis’s double concerto “Crystallizations” was performed by the Tapiola and Pori Sinfoniettas. Following its premiere in 2009 with the Ostrobothnian Chamber Orchestra—featuring soloist and leader Pekka Kuusisto—the piece was also performed by the Iceland Symphony and Jyväskylä Symphony Orchestras. 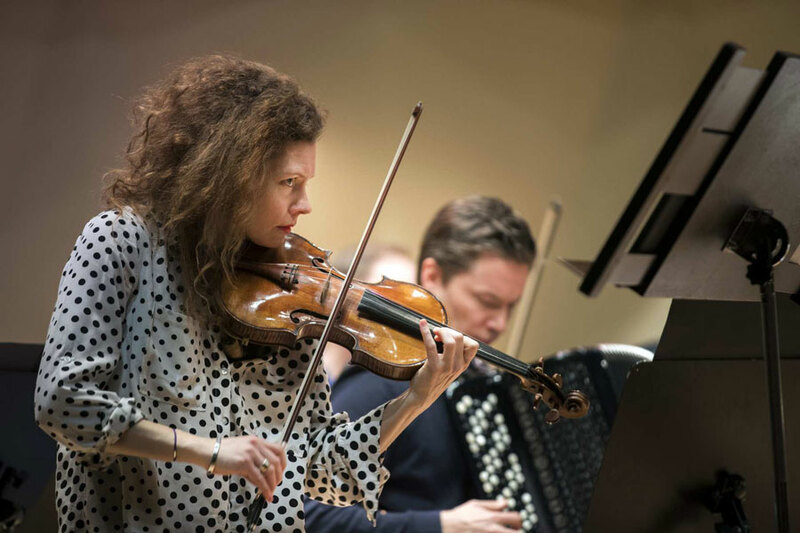 This time, owing to Pekka’s illness, fellow Finnish violinist Minna Pensola took over the other solo part. Both concerts welcomed Janne Nisonen as conductor.